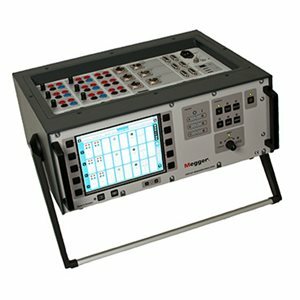 The TM1700 series circuit breaker analysers utilizes some of the ground breaking technology from the top of the line version TM1800. There are four models starting from PC-remote controlled to fully stand-alone. All models can be controlled from a computer using the well proven data management and analysing software CABA Win. The robust design offers powerful technology that assists the user to achieve efficient and reliable circuit breaker testing. All inputs and outputs on the instrument are designed to withstand the challenging environment in high-voltage substations and industrial environments. Galvanically isolated inputs and outputs makes it possible to perform all relevant measurements in one test, eliminating the need for new setup and re-connections. The patented DualGround™ method makes the testing safe and time saving by keeping the circuit breaker grounded on both sides throughout the test. The timing measurement inputs are using a patented Active Interference Suppression algorithm to ensure correct timing and accurate PIR (Pre-Insertion Resistor) values even at high capacitively coupled interference currents. The adaptive and easy-to-use software allow the user to perform the test by simply turning the test switch without the need for settings. The operator is only one click away from advanced help functions such as connection diagrams. The 8” color touch screen, with on-screen keyboard, allows the user to efficiently operate this high-level interface.